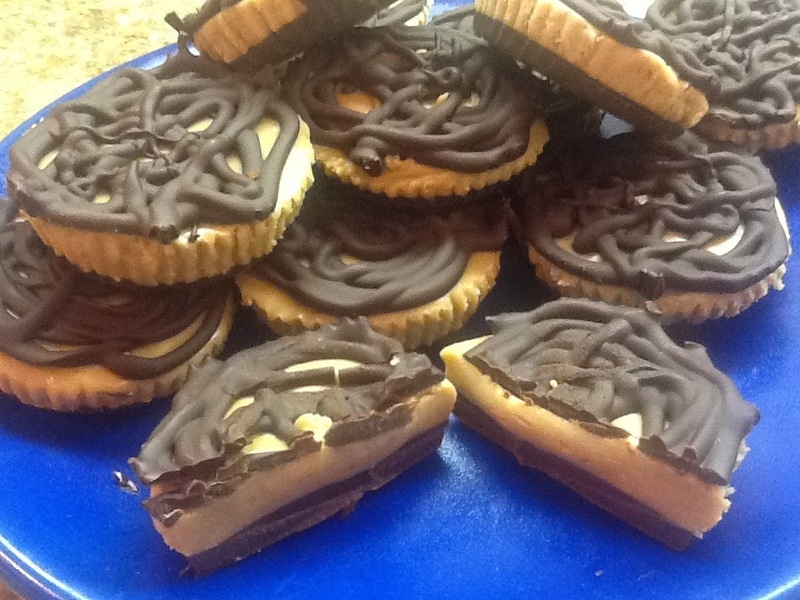 Peanut Butter Cups – No bake -don’t have to dirty a single dish!! | ARTZCOOL'S BLOG! 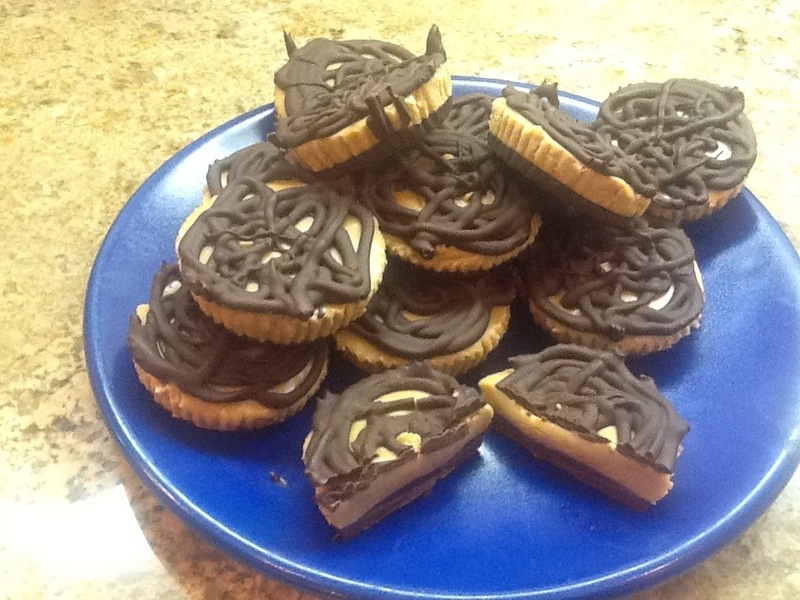 Peanut Butter Cups – No bake -don’t have to dirty a single dish!! 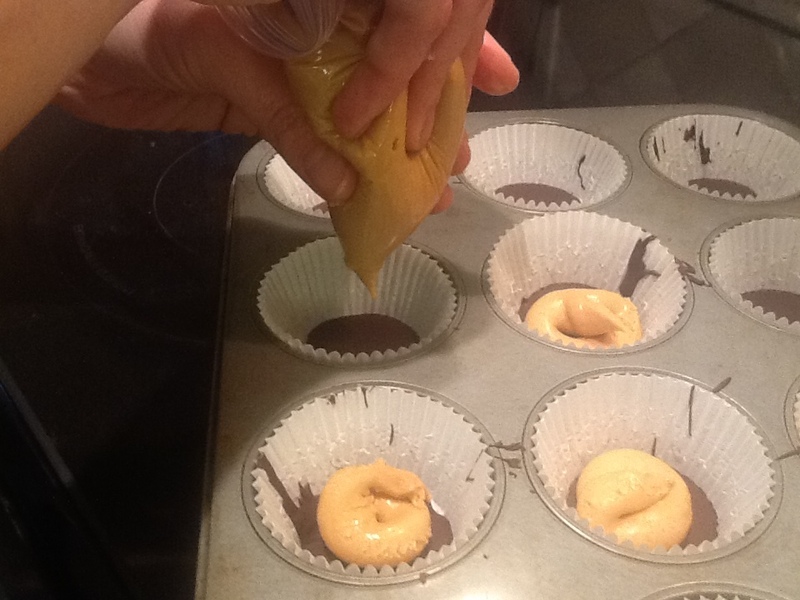 Ok – So here it is… Peanut butter cups that are made from four ingredients; chocolate chips, peanut butter, icing sugar and a bit of butter! 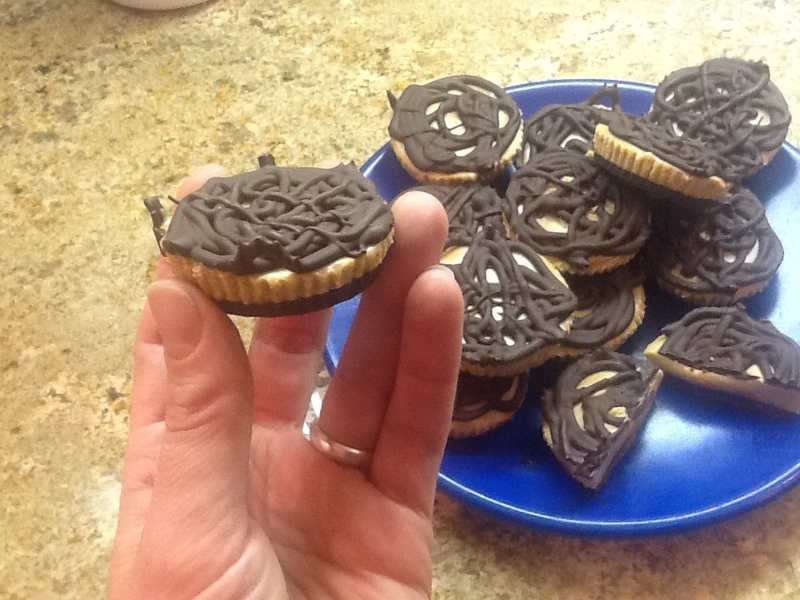 Wait, it gets even better… I found a couple similar recipes on line, but I have adapted the recipe to be even better…not only does they taste amazing (trust me, they are gooood!) But I have modified it so that the only thing you have to wash after making these is the spatula I used to scrape the peanut butter out of the jar! 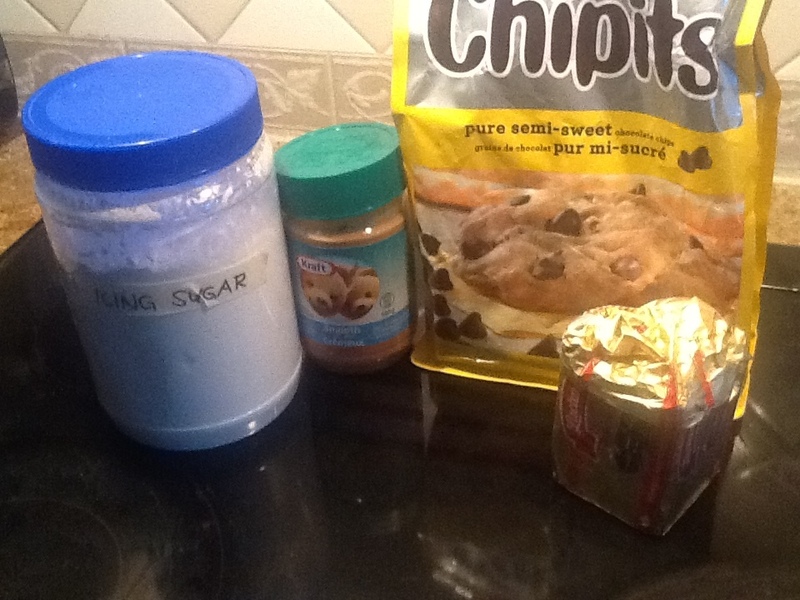 So, like I said, four ingredients needed: 1 cup of peanut butter, a couple tablespoons of butter, a half of a cup of icing sugar, and about a half of a cup of chocolate chips. 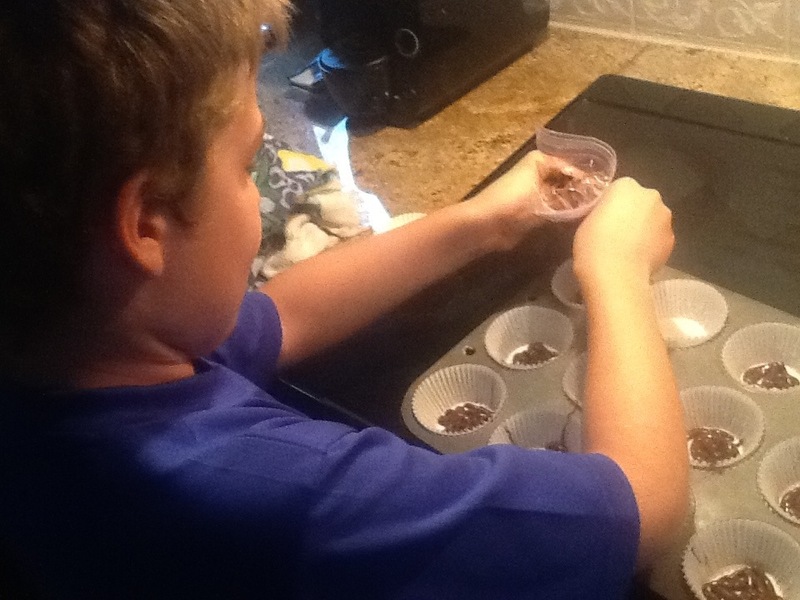 I started by adding a couple handfuls of chocolate chips into a sandwich bag, and melting it in some hot water. 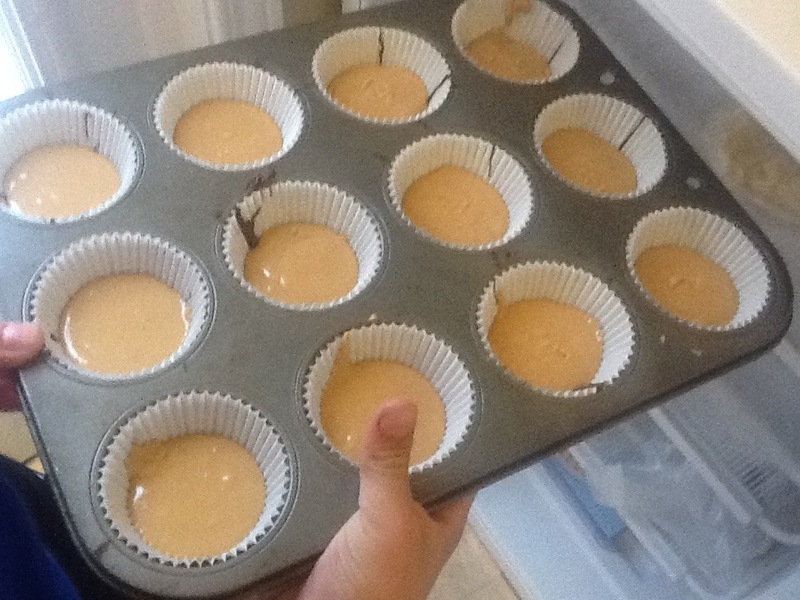 I lined a muffin tin with cupcake liners. 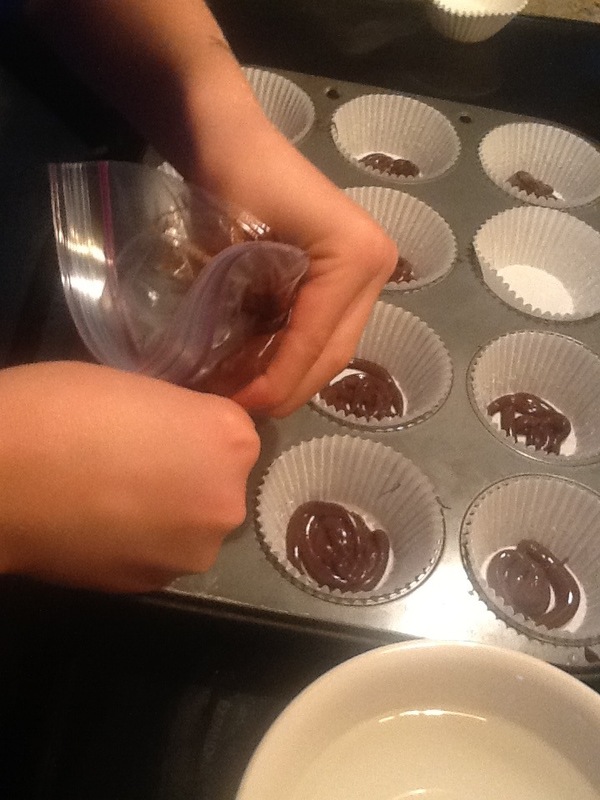 Then, I cut a corner off of the sandwich bag and Dylan helped me squeeze a little chocolate into each cupcake liner. 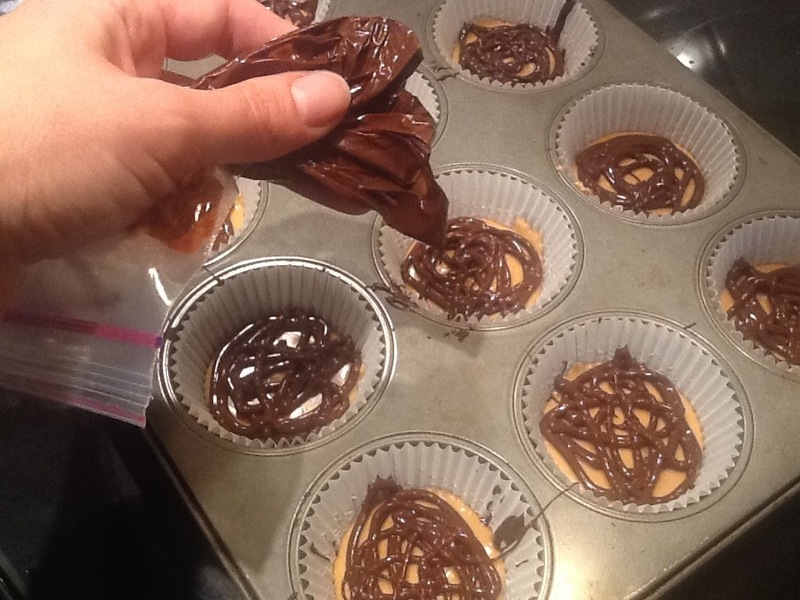 Here’s a tip: If you tap or bang the cupcake tin, the chocolate will settle and spread out evenly across the bottom of the liners. 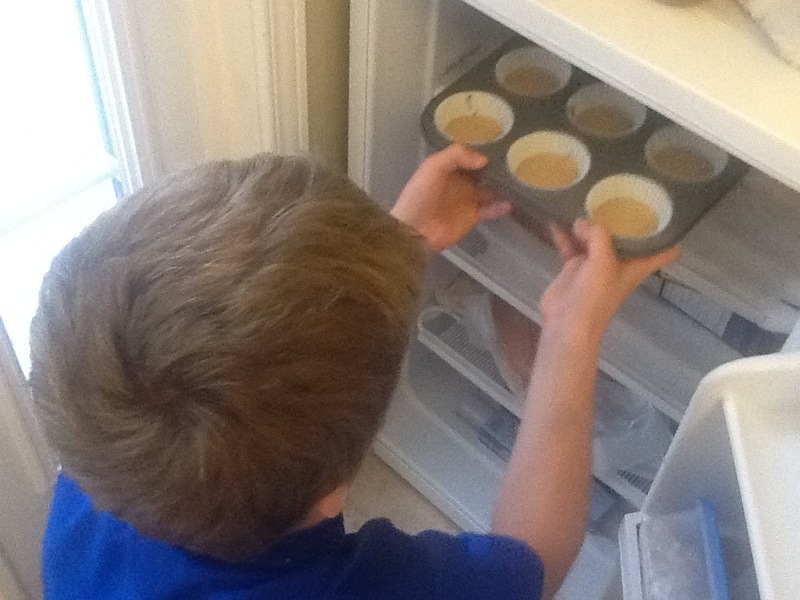 So after we got tired of squishing the peanut butter, we took the cupcake pan out of the freezer, and cut a hole in the corner, and squeezed out a little peanut butter filling onto each liner. 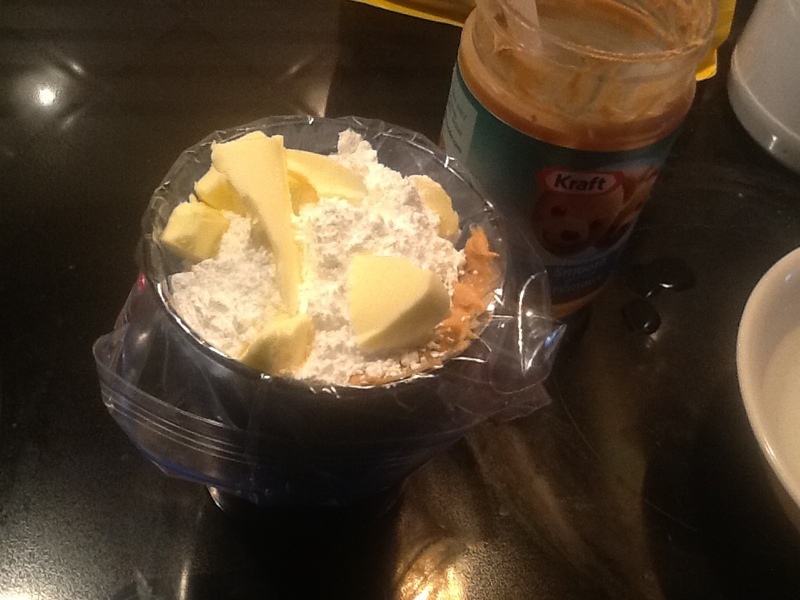 Once agaain, the trick here is to bang or tap the tin to settle the peanut butter. 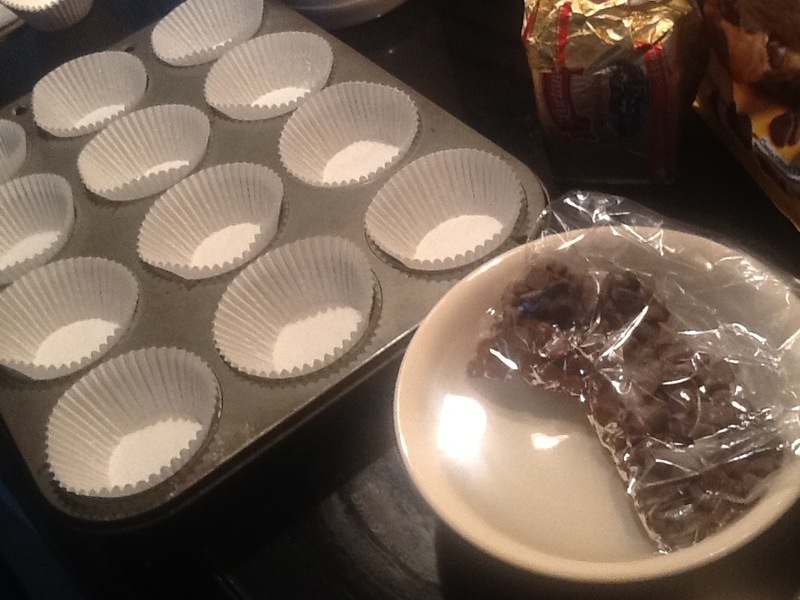 Then I melted some more chocolate chips in another sandwich bag, and squeezed out som chocolate for the top. 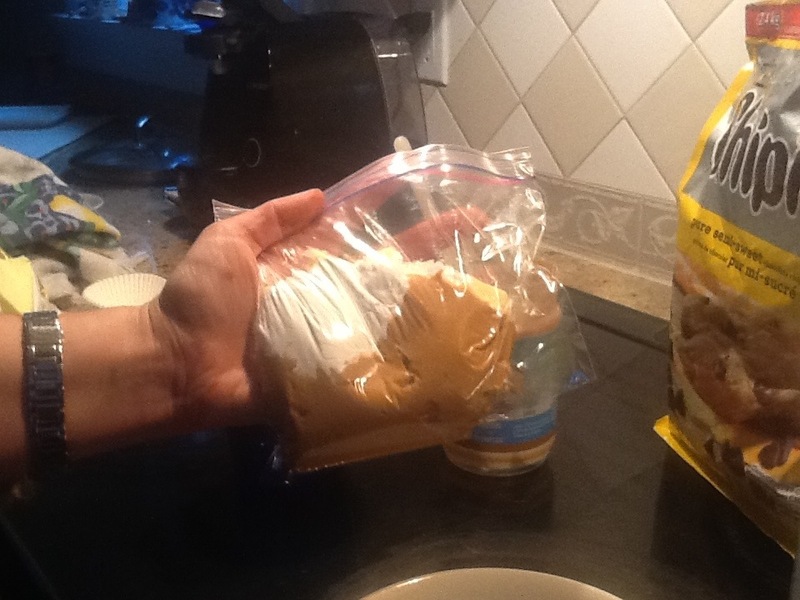 Now for the best part…toss out the sandwich bags, and eat!